Why use handcrafted body products? Our handcrafted body products eliminate chemical items that aren’t necessary in our lives. Commercial beauty products use numerous amounts of chemicals and cheap additives when made on a mass scale. Many people have dry and sensitive skin just because of the additives found in products. Companies label their products as “bath bars” and “beauty bars”, because they aren’t actually real soap! For example, they remove glycerin from soap and sell it for profit as a by-product. Glycerin is a natural humectant. Meaning it pulls moisture from the air, and onto your skin, leaving it feeling soft and nourished. So the products you should use on your skin shouldn’t leave your skin dry, itchy or irritated. The skin is the largest organ on your body, and what you put into and on it matters. We use natural plant –based butters and oils (such as shea butter, olive oil, and grape seed oil) for the base of many of our products. Combined with real beeswax, fruits, vegetables, flowers, herbs, spices, oatmeal, honey and other natural additives that give our products the best of what nature has to offer to you. The scent from our products comes from natural essential oils, and phthalate-free fragrance oils. Because all of our products contain no preservatives, we recommend using them within a year of purchase. Storing our products out of direct sunlight, heat and humidity helps them last a little bit longer. Are your products safe for my face, sensitive skin and skin conditions? Yes. There are some of our bars that are geared more towards the face, but all the soaps can be used on your body, face and hands. For people with “nut” allergies, please keep in mind most all of our products contain some kind of “nut” in them, such as almond oil or shea butter. As for sensitive skin and skin conditions such as eczema and psoriasis, our soaps can be used, but as with any new product we would recommend doing a test patch first. Are your soap bars all the same size? Not completely. With our bars being hand cut you will notice slight variation in size, with the average weight of each bar ranging from 4.5-5.5 oz. Our bars are what we consider to be “handcrafted” and gladly accept that not all of our bars look exactly the same. What ingredients do you use in your soap? 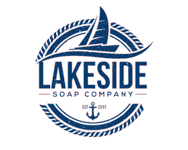 When it comes to our soap, you will find that the ingredients listed are ingredients that you can actually read and high quality at its best. We use natural plant-based butters and oils for the “fats”. We also use sodium hydroxide, better known as lye, to create the saponification process. This is the process when our fats (oils) are mixed with the alkali (lye). Once this process is complete, the lye is no longer present, but rather you now have “saponified oils”. All real soap is saponified. You cannot create soap without lye! We then add essential and/or fragrance oils, along with any other natural additives to create every handcrafted bar of soap. How do I care for my soap? Because our soaps don’t contain any chemicals that keep them staying “hard” after each use, be sure to set it in a soap dish that drains. Do not let the soap sit in water, otherwise you end up with it getting mushy and soft. It is best to have it dry in between bathing, hand washing, etc. On average, most people find that one bar will last about a month. What is the difference between essential oil and the fragrance oils? The difference is that the essential oils used are derived from plant material, such as the root, flower or leaves and are 100% natural. The fragrance oils used contain synthetic components in order to imitate scents that cannot be derived from Mother Nature. Rest assured that the fragrance oils we use are distributed from a company that tests them to ensure their quality and safety. The fragrance oils we use are phthalate-free. All of our essential oil products have the pure essential oils to scent them and our fragrance oil products have the fragrance oil or a combination of essential/fragrance oils. Of course we do! If you wish to request a custom order, please contact us for what you are specifically looking for. We can do anything from birthdays, showers, weddings, or any special occasion where you’re looking for something a little different than what is listed on our website. Please keep in mind we make all of our items by hand, and allow for enough time for us to complete your request accordingly.